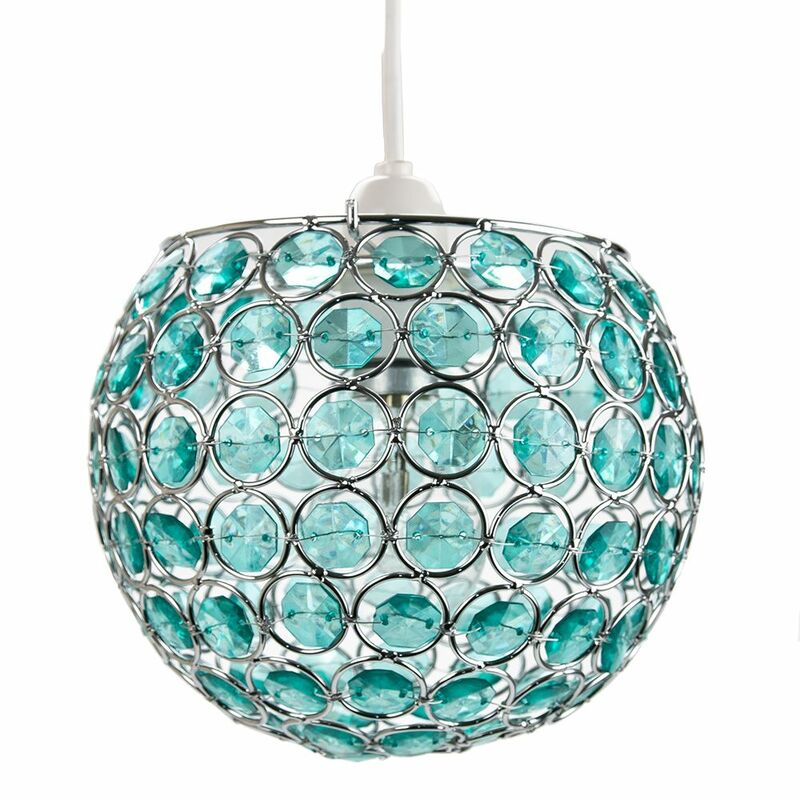 Contemporary and unique easy fit pendant light shade with polished chrome plated metal spherical frame. 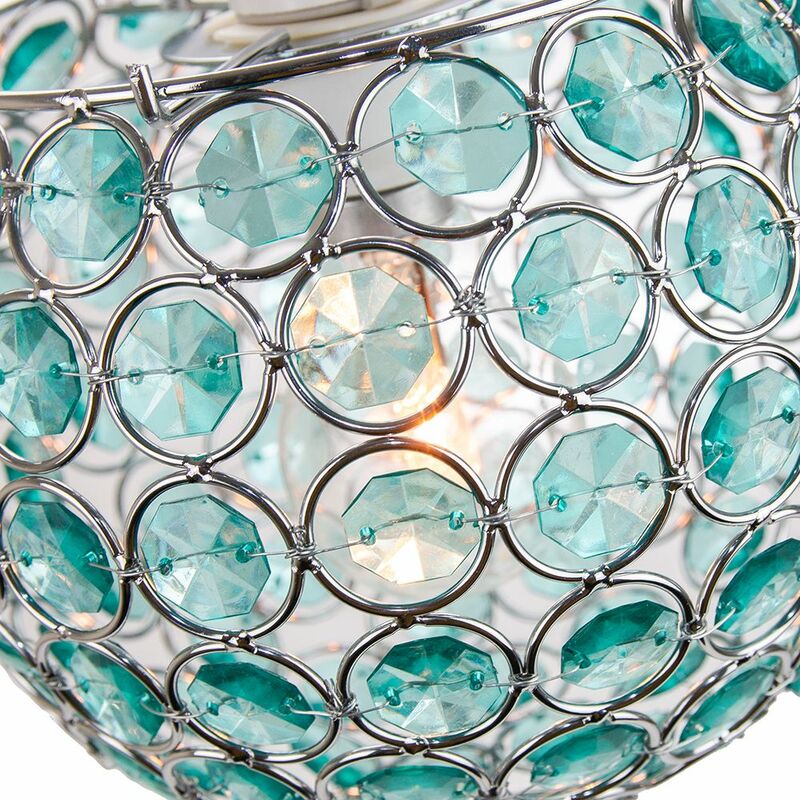 Includes multiple small circular decorative teal acrylic beads which give off an eye-catching crystal glass effect. 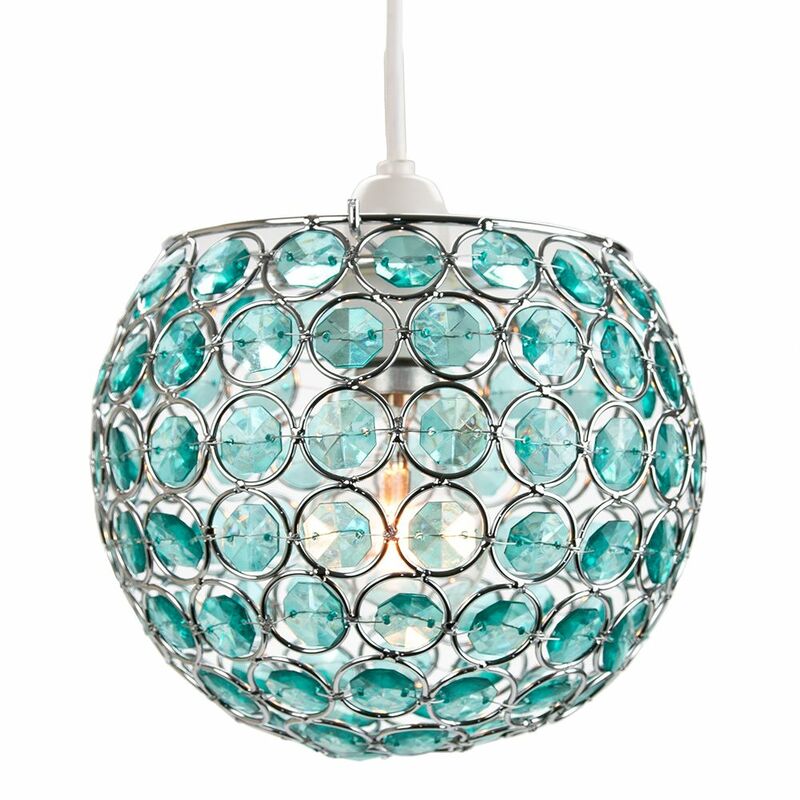 Total product dimension: Height - 18cm, Width - 18cm, Depth: 18cm.